#Muffingate, or "Customer Service Part II"
Ah Customer Service. The oft-discussed topic that rarely (if ever) seems to go anywhere. Perhaps this is what it has come to – true customer service is seemingly so rare today that it can bring us close to tears when it does happen. We can all relate – who amongst us doesn’t have a story about a bad airline or cable company experience? Many of our daily interactions are binary – I do this, then you do that. There may be some half-hearted pleasantries along the way (“How are you today?”), but really – when was the last time any of us got truly great customer service? And what about the costs associated with doing so?? As luck would have it, just after our article came out a friend of ours had a somewhat unique customer service experience. She thought of us, our article and how (in her particular case) great customer service for one person meant poor service for her. 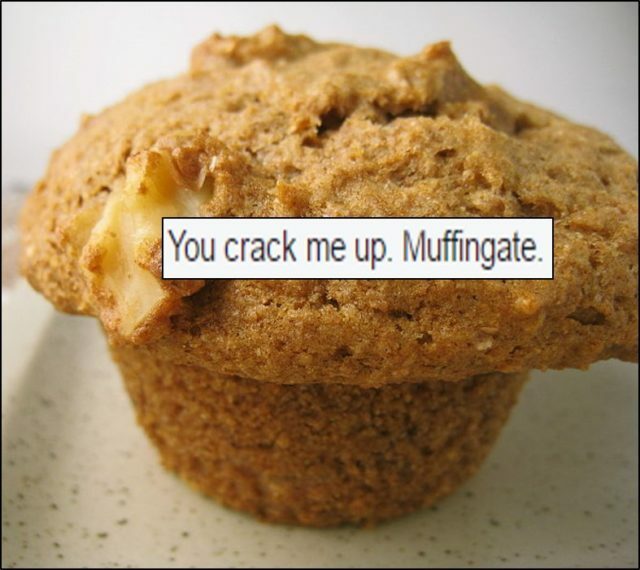 And so we present to you: #Muffingate. And that was it! Although the store had the product our friend wanted, she was told she couldn’t have it because it was being held for a “regular”. There was no apology, no offer of something else at a reduced rate, and certainly no upholding of “first come, first served”. So our friend left – no sale for the business, and probably loss of many future sales. Upon arriving home, our friend posted her experience on social media. The response was swift and varied. In fact, amongst SE Connecticut, it was probably the biggest trending topic for a few days. A local radio station even picked up on the story and discussed it on air! As you may suspect, opinions at both ends of the spectrum and everywhere in between were represented. Some agreed that the muffin should have been sold, since our friend got there first. Others made the case that the business of a regular customer was much more important than that of an occasional one, and so the business made the right call. Still others came up with other solutions, like reserving her muffin ahead of time (really? Call ahead… for a MUFFIN!? ), or driving to another location to fulfill the need (certainly an inconvenience for a non-essential item). By the time everyone moved on, the post had over 120 comments and replies. As we said before – customer service is a polarizing subject. While the” “regular muffin lady” would certainly log the highest in customer satisfaction scores, our friend certainly would not. In the Lean world, the success of one customer should never come at the detriment of another. The goal is to meet all customers’ expectations, which in the retail world is unquestionably difficult, but certainly not impossible. In the end, the goal of business is to win. Win customers, win market share, win profits. Lean is a way to build a culture that supports winning. This case is a good example of win-lose, and one that the franchise hopefully learns from and takes action on.